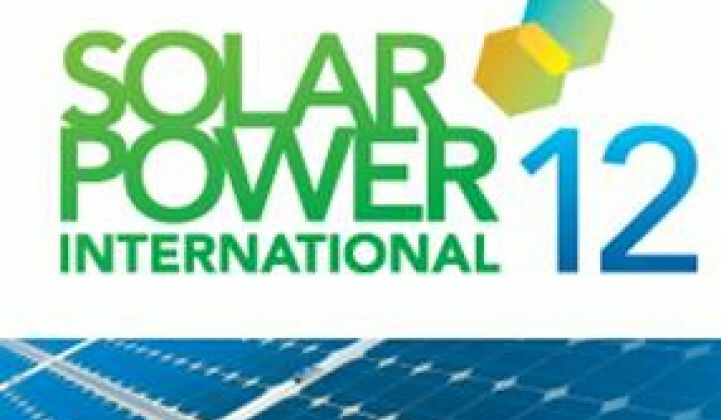 Resch kicked off the opening session of Solar Power International (SPI) 2012 by briefly recounting those numbers: 742 megawatts installed in 2Q 2012, a 45 percent jump over the first quarter and twice the Q2 2011 total. Solar’s total installed U.S. capacity is now 5,700 megawatts, he said, and there are 3,400 megawatts under construction. 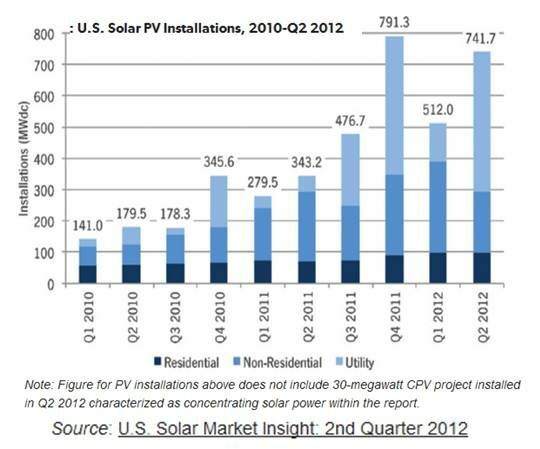 The 2012 total PV installed capacity for the U.S. is projected to be 3,200 megawatts, 71 percent higher than the 2011 total. More important for the long term, Resch noted, is the fact that the weighted national average system cost fell 10 percent from Q1. Resch then turned to more sobering news. “Our industry is under direct attack on multiple fronts,” he told the audience of solar professionals. Funded, Resch said, by the fossil industries generally and the Koch brothers specifically, 81 percent of negative conservative Super PAC attack ads have assaulted renewables. Renewable energy tax credits have become a political issue, he added. Bills to roll back solar’s federal investment tax credit (ITC) and wind’s production tax credit (PTC) have been introduced in Congress. One sponsor is Republican Vice Presidential candidate Paul Ryan. Ryan’s controversial budget proposal would also end all incentives to renewables, and Ryan’s running mate, Republican Presidential nominee Mitt Romney has stated his intention, if elected, to do the same. Perhaps even more threatening, Resch said, the October 2012 issue of Consumer Reports will put residential solar at the top of its updated list of consumer scams. Consumer Reports acknowledges this really is not about solar, but about crooks. Another budding scandal will also, Resch said, cast a shadow on the solar industry. The remarkable growth recounted in the new numbers has been driven by two prominent factors: falling solar system costs and innovative third-party ownership (TPO) financing models. 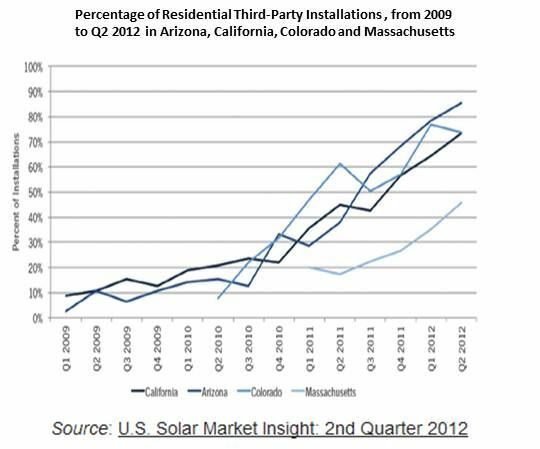 TPO models have created a boom in residential and commercial solar installation but they are largely dependent on the ITC and other tax incentives. The long-term success of the industry rests on its ability to keep driving down costs after the manufacturing sector rights itself in the wake of the glut of imported, low-cost Chinese modules. But, Resch explained, those who benefit from the ITC benefit more when the system price is high. Some stand accused of inflating numbers to that end. This practice is the result of a few companies’ greed, Resch said, but it impacts all legitimate installation and financing businesses. “SEIA will expel violators,” he promised.